I Have Heart Palpitations a Few Times a Day | Should I Be Worried? If you’ve ever experienced heart palpitations — the feeling that your heart is beating too fast, fluttering, or skipping a beat — you have probably wondered what causes them and if they are harmful. In most cases, heart palpitations are not serious and will go away on their own. If you experience heart palpitations a few times a day or have noticed heart palpitations for the first time, you should see a healthcare provider to determine if they are the symptom of an underlying medical condition. Cardiac arrest — In rare cases, heart palpitations are caused by life-threatening arrhythmias (irregular heart rhythms) that prohibit the heart from beating properly. Stroke — Some heart palpitations happen as a result of atrial fibrillation. Atrial fibrillation can cause blood clots that could block an artery in the brain and lead to a stroke. Heart failure — If your heart is pumping blood inefficiently, it can cause heart palpitations that may lead to heart failure if not properly managed. Some things that are known to trigger heart palpitations include stress, stimulants, and illegal drugs such as amphetamines and cocaine. The only way to be sure your heart palpitations are harmless is to see a medical professional for an evaluation. 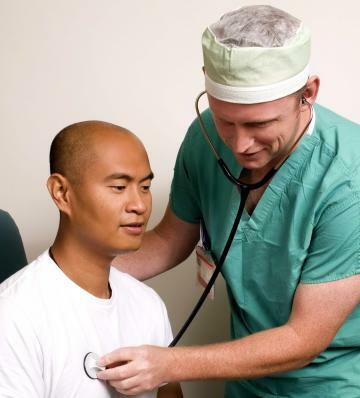 FastMed Urgent Care is open seven days a week and never requires an appointment. Along with being knowledgeable and compassionate, FastMed healthcare professionals are committed to providing quality healthcare to individuals and families promptly. Find a FastMed in your area today! We accept most major insurance plans, including Medicare and Medicaid.